Experience the most poignant and exciting talent show ever produced: the hugely influential Britain’s Got Talent. The popular casino gaming provider Playtech bridges the gap between pokie players and a concept that has seduced millions around the world and revolutionised the music industry for ever. 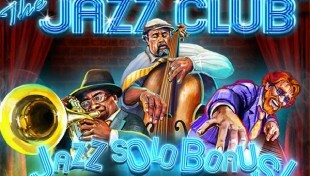 Join the respected Casino.com in the spirit of song, dance and life changing talent. Britain’s Got Talent is a video slot machine that offers the player to find all the emotions and moments from the popular TV show. This is the ITV extravaganza that made its creator, Simon Cowell, a household name. But this show is also linked to several talented performers who stunned audiences and went on to launch incredible careers. These names include the opera sensation Paul Potts and the phenomenally talented singer Susan Boyle, who offered the show’s most endearing moment during her first performance. This game offers all the flash and pizzazz you would expect from a talent show… The graphics portray the lines and visual cues of the famous British show with style and inspired gusto. The Union Jack hits us in all its glory, all illuminated in its red, white and blue colours as it is used for the background. On the reels, the basic symbols kick off with a trio of performers; namely a singer, a dancer and a juggler, all silhouetted against the British flag. The other low ranking symbols are the usual card icons, which are A, K, Q, J and 10. As Britain’s Got Talent is loaded with special features, the game offers also a trio of special symbols; we find a Britain’s Got Talent Bonus symbol, a Free Spins Scatter symbol and a Union Jack Wild. Britain’s Got Talent has 5 reels and 20 paylines. The player can decide of the number of active lines and the amount of the bet he or she wishes to make on each of them. The range of bets is quite wide, as it is possible to bet between $0.01 and $50 per payline. If you’ve got the pockets for it, your total line bet could reach a very respectable $1,000. Got the showbiz bug? 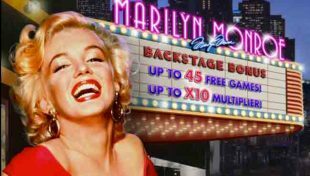 The Sopranos and Marilyn Monroe are 2 more entertainment theme pokies being featured at pokies Palace. Enter the competition by playing the Britain’s Got Talent bonus game. For this you must obtain the Britain’s Got Talent symbol bonus symbol simultaneously on reels 1, 3 and 5. You’ll then be invited to choose from 3 different performing arts; either music, dance and a novelty act. Once your choice is made, you’ll simply have to hope your contestant wins the competition. This is a random game, so just sit back and watch all the performances and cross your fingers in the hope that yours gets the largest ovation. You will be awarded up to 20 rounds of Free Spins when the Free Spins symbol lands simultaneously on reels 2, 4 and 5. During these, wilds can appear randomly and stay for the remaining number of spins. Like all branded games, the pokie Britain’s Got Talent has its own following, which immediately makes the game popular. Add the fact that you’re dealing with a good mix of quality and familiar sound bites, solid graphics, decent bonus features and an attractive top jackpot of $500,000 all wrapped in a concise theme that remains loyal to the brand, and you can be playing a winner. What special features does Britain’s Got Talent have? 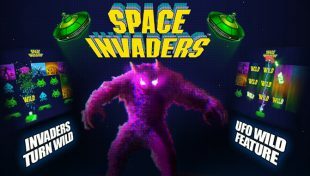 Britain’s Got Talent offers Wilds, Scatters, Free Spins and Bonus Games. What is the maximum jackpot of Britain’s Got Talent? The maximum jackpot at Britain’s Got Talent is 10,000 coins, available when landing 5 Union Jack Wild symbols on an active payline. What is the payout % of Britain’s Got Talent? The payout % of Britain’s Got Talent is 92.52%. How many paylines and reels does Britain’s Got Talent have? Britain’s Got Talent is played across 5 reels and 20 paylines. Which casinos can I play Britain’s Got Talent?